It is no secret that I am a certified reading teacher. 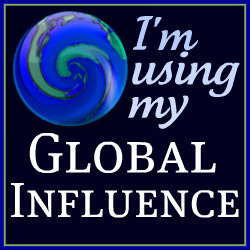 I may not be in the classroom right now, but I am always thinking about my own children and others. My oldest son craved to learn to read. When asked on the first day of kindergarten what his goal was, he said it was to read alone. In a short amount of time, he did this. Fast forward to my youngest. JSL is suddenly beyond interested in learning to read and write. When we received a bounty of items to host a Leap Frog – “Learn, Create, & Share” Party, I knew there was something special here. We had a lot of Leap Frog items in the past, but everything in our package was new to us. Since our party, JSL has been focused on writing letters and trying to read on his own. At almost four and a half, I want to run with this literacy development. There are so many ways to help children to read. The best early literacy learning comes from reading a lot and having others that model this behavior. JSL is lucky and has that with his big brother, TechyDad, and me. We all read a lot of different items and enjoy reading to him. 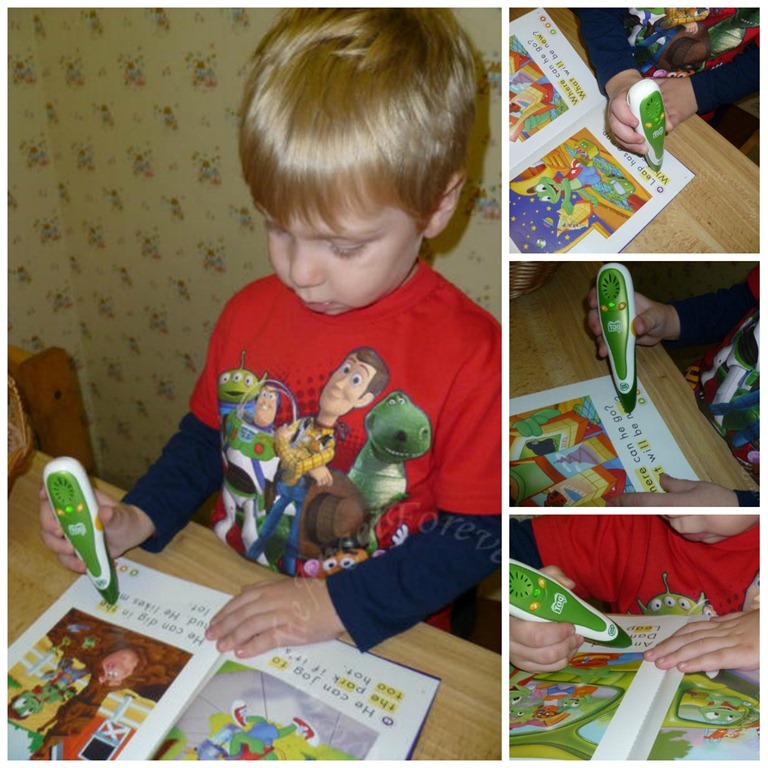 Thanks to the LeapFrog Tag , JSL is now able to read alone. With the Tag, kids are able to sound out words on the pages of the special books that are for use with the Tag. 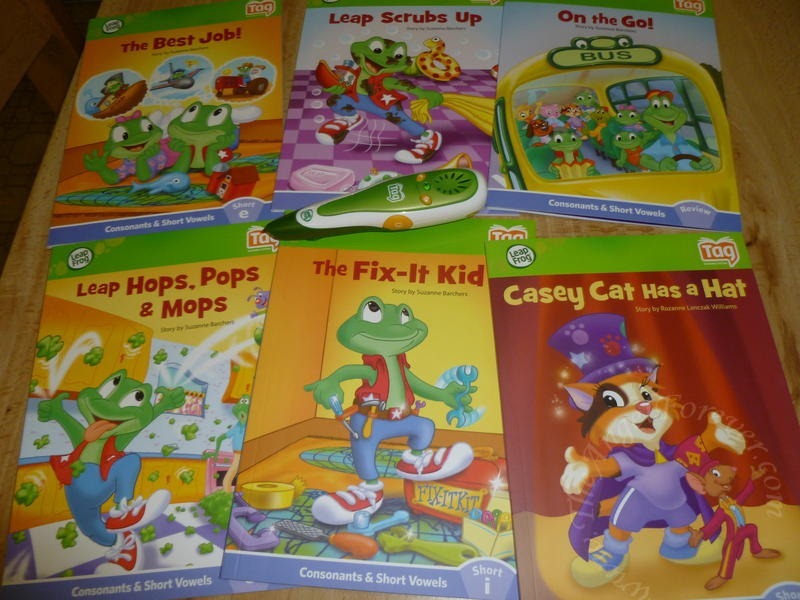 We were sent the LeapFrog Tag Learn to Read Phonics Book Series Short Vowels . I was very impressed with the content in them. They kept JSL’s interest and he was able to follow along, repeat what was said, and figure out what to do with little assistance. In this video, you will see how JSL can utilize the different features. Let’s ignore the fact that I distracted him, he skipped a page, and liked to repeat words. 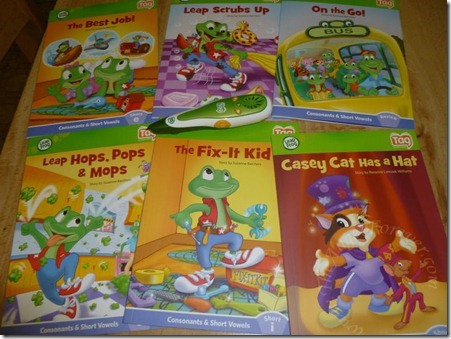 In addition to being easy to transport and use, I love the variety of books offered for the LeapFrog Tag. There are a lot of picture book classics, Disney titles, books about super heroes, and more. In addition to this, there are items like the LeapFrog Tag Maps: World . 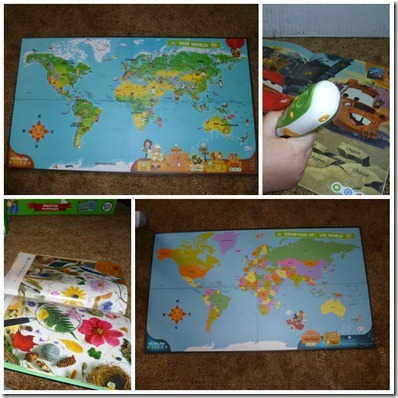 This works with the tag pen and helps children to learn about the world map, cultures, and other items. There are even games to race around the world while homing in on your geography skills. The Tag Reading system is very versatile and can grow with a child as they learn to read and practice increasing their fluency and comprehension. Not only are these wonderful gift items for a young child, but a set would be a fantastic teacher/classroom gift as well. Imagine the faces of children using these in a kindergarten or preschool classroom to gain confidence and self-esteem while learning to read. Do you have a Tag Reader? If you do, I would love to know what books you recommend since Chanukah is coming and we will probably be getting some titles for JSL to enjoy. 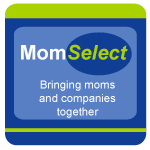 Disclosure: As a long time LeapFrog supporter, I applied and was selected by Mom Select and LeapFrog to host a “Learn, Create, & Share” party. They provided me with all of the items shown above. The opinions are all mine and no other compensation was received. More coming soon about the LeapPad and helping kids to learn to write.